COTIC : news : PSSST... Spring Promotion! Quick note to let you know that we're offering free Cane Creek DB Inline shock upgrades on Rocket and RocketMAX for the rest of April. So, just £1499 instead of £1749 for the DB Inline equipped frame, or free upgrade on the Silver bikes. On the Gold and Platinum bikes where it's stock spec, these bikes are £250 cheaper, so just £3349 for a Gold build. It's a fantastic shock with tonnes of adjustability. 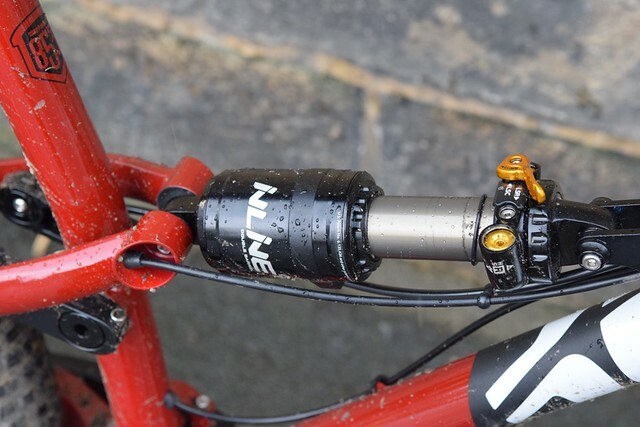 It's Cy's preferred shock and he wrote all about our shock options and tuning last year, if you fancy a bit more of an in depth read, follow the link.